They were single-sided and ran for just over a minute. 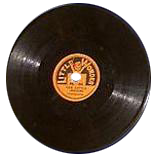 Because of their small size they were made to play at 80rpm. 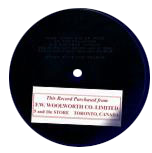 The first discs were 5" in diameter, which later increased to 5½". Each was sold without a sleeve for 10¢. Many Little Wonders were given as stocking-fillers. 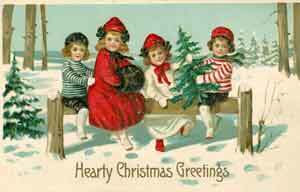 This simple recording evokes memories of a family's Chrismas Morning almost a century ago, as a loved one awoke 3,000 miles away in the trenches, little knowing that for one day they were about to swap their mortars and machine guns for a simple soccer ball. Your browser does not support HTML5 audio playback, so we're using Adobe Flash instead.